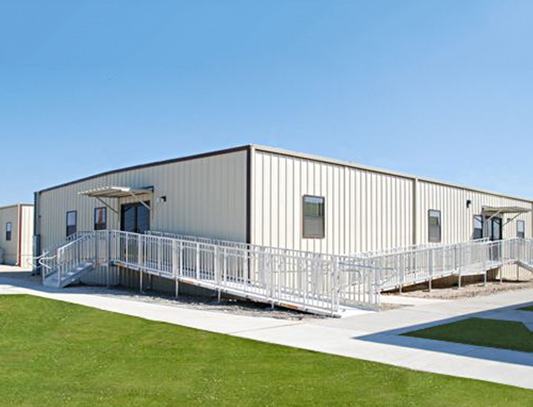 Modular Office Building Complex with covered landings, steps and ADA ramps with handrails. Double Wide Modular Sales Office with site built landing and ramp with handrails. 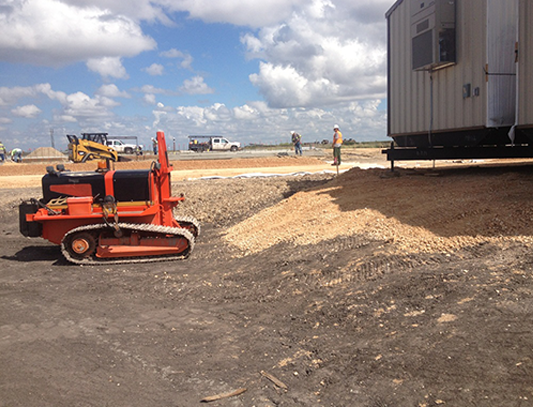 At a jobsite in Corpus Christi, preparing to set up a double-wide modular office. The sections will be moved together and the exterior and interior of the building will be finished. This building was purchased for permanent office space for permanent use. 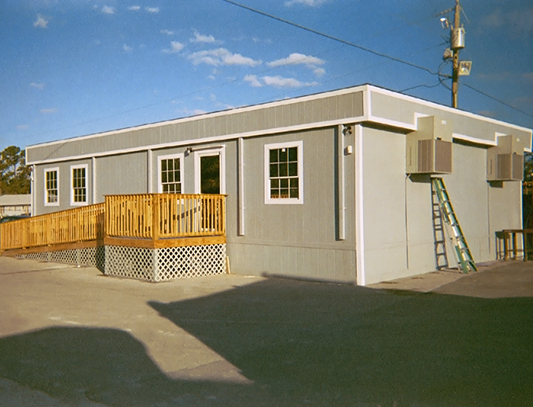 The two sections of this modular office building were delivered and set up in Freeport, Texas. The building was tied down, finished out on the interior and exterior. It was then skirted with 29 ga. steel skirting material. This building is for temporary use on a 24-month Lease. 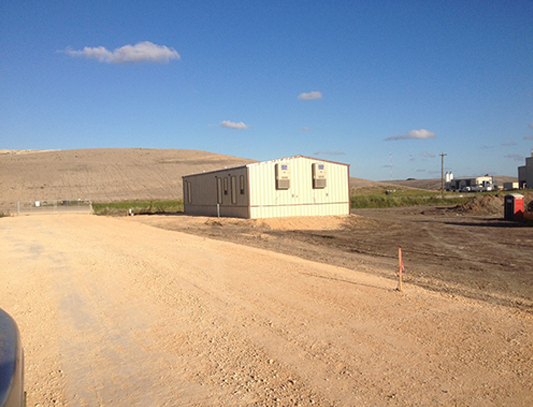 28' x 60' Modular Building, Texas State Sealed to meet city code for Houston, Texas. Combination office, break room, women's restroom/change room with shower and men's restroom/change room with showers. A turnkey project, delivered, set up, site installation including tie down anchors and vented metal skirting to match siding. 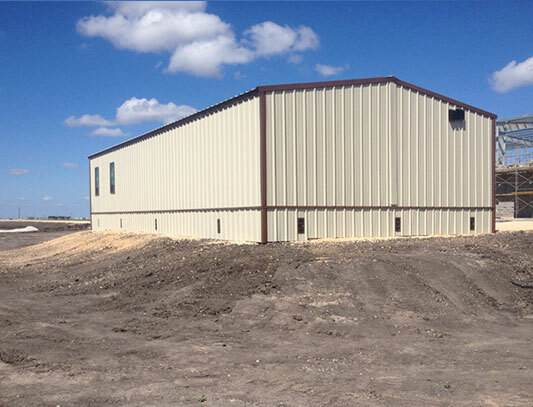 Jobsite office building for a construction site in in Brazoria County, TX. This building is being used for a construction office for long term use. The customer needed something a little larger than a construction trailer. A ramp and steps with landings and handrails will be added to accommodate the three exterior doors. 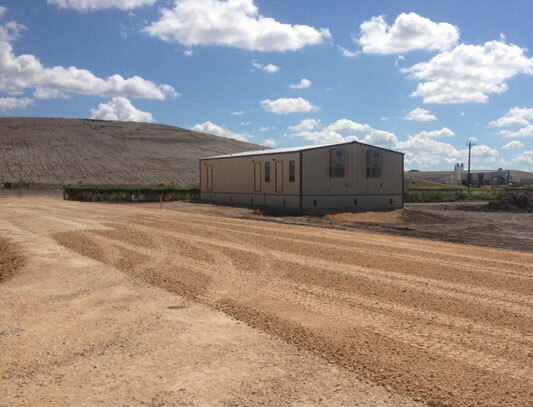 New 8' X 14' portable/skid office building delivered for use as plant control room. Mezzanine location required crane set of the building. Also, due to corrosive plant atmosphere the building had to be all wood construction with wood paneling exterior siding and a rubber roof.